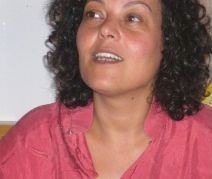 Nouzha Drissi, the founder and director of the Documentary Film Festival of Agadir, died Sunday morning (4 December) in a car accident in Casablanca. Since 1996 Nouzha Drissi has produced some 50 documentaries (serials and singles) for several French channels (Arte, France 5, France 2, France 3, Canal+, Planète and other cables) as well as internationally, notably in Europe. Her films have been selected and received awards in many international festivals. The creation of IFAD Doc'Souss, the first Festival dedicated exclusively to the documentary, in Agadir, Morocco, emerged from her desire to affirm a documentary culture among both professionals and the general public, as well create a platform for South-North collaboration. Above all it is to sustain FIDA DOC, to offer the Festival the means to continue to grow and to reach out to all Moroccans. To give it a proper place in the cultural landscape of Morocco. FIDA DOC must also be able to offer a true South-North dialogue, and become a true platform for networking among professionals of the documentary. Furthermore, I have a desire, for the sake of democratization and decentralization (since the choice of Agadir initially met this criterion), to create an itinerant International Festival of Documentary that will travel to different cities and regions throughout the year and thus provide several realities of the world and create a real moment of exchange and debate among Moroccan citizens. This is not just a festival to discover a specific film genre. It is an educational approach to give an opportunity to all Moroccans to have the best possible interpretation of many realities, hitherto ignored or simply misunderstood. (Le Matin 3 October 2010).